The Movember journey began in Melbourne, Australia, in 2003. Since its inception, the men’s health campaign has seen proud moustaches sprout across 21 countries. At the starting line, The Lincolnite follows Lincoln’s awareness activists from hairless to handle-bar. In 2012, over 1.1 million ‘Mo Bros’ and ‘Mo Sista’s’ pledged their allegiance to the moustache and raised over £92 million globally. In the UK, there were over 363,000 participants, raising over £27 million. “Mo Bros’ started their 2013 mission on November 1, clean-shaven. They will continue to grow and groom their ‘tashes for the full month in an effort to raise awareness of men’s health, specifically prostate cancer, testicular cancer and male mental health. Besides celebrating an eccentric fashion statement, the campaign tackles crucial issues through education and awareness. The current UK partners are Prostate Cancer UK and The Institute of Cancer Research. In the UK, 1 in 8 men will suffer from prostate cancer at some stage in their lives and more than 10,000 men will die of the disease this year in the UK. In addition, 1 in 4 people in the UK will experience some kind of mental health problem in the course of a year. Suicide remains the single most common cause of death in men under 35. Jorge Clavijo is a Consultant Urological Surgeon based in Lincolnshire who supports the campaign. “Movember is one for a starter, then patient.co.uk, NICE, and my own website Private Urology in Lincolnshire. “There are four main patterns of referrals that are subsequently found to have prostate cancer: Self referred, GP referral on request of the patient, GP referral on suspicion of prostate disease or GP late referral. “Some men do have a sub-clinical (under the surface) prostate condition for years, or they disregard the symptoms, so when the problem is found, or emerges, there may be little we can offer. Jorge Clavijo’s advice for preventative action against Prostate and testicular cancer is to reduce intake of animal fat and increase the intake of fruit, cereals and vegetables. Among Lincoln charity moustache growers is Barry Lee, who has been involved in the campaign for a number of years. Barry said: “The reason I became involved is because it’s a cause that’s close to me. I have personally been through two cancer scares and lost a close friend to testicular cancer in 2004 after a 14-year battle. “This year, Movember is also highlighting men’s mental health and, as I have struggled against depression most of my adult life, it’s a subject very close to me. One Lincoln activist took a different slant on the Movember awareness theme. In a true facial hair statement, one 38-year ‘tashe enthusiast took to stripping his top lip in front of crowds. City of Lincoln Council Chief Executive and Town Clerk Andrew Taylor lost his 38 year old moustache for charity on November 5. 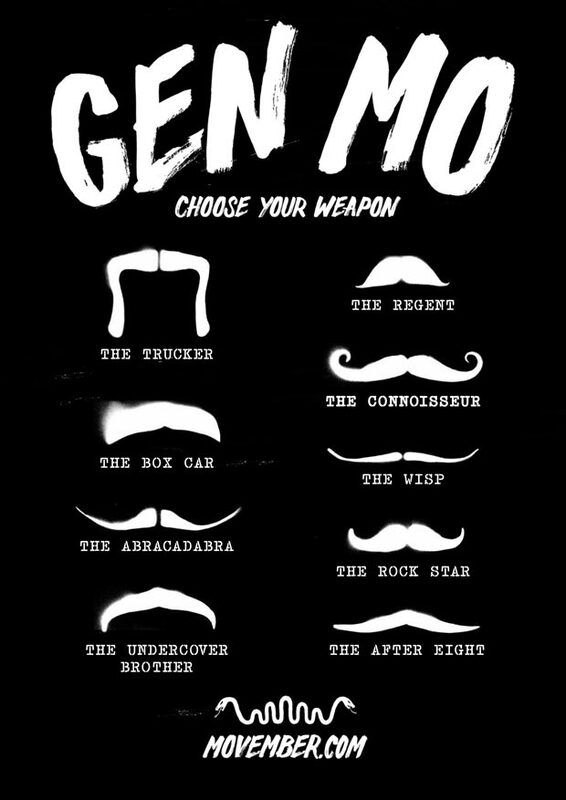 To find out how you can get involved, visit the Movember website for more details. It’s not too late! Send us your Movember progress photos via email at [email protected], or post them on our Facebook and Twitter @thelincolnite for the chance to be included in our end of month feature.